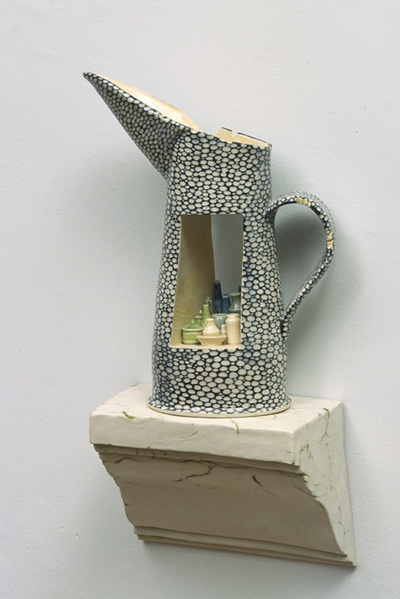 I have always enjoyed the way that objects are shaped by their intended function, and often take utilitarian forms as points of departure. 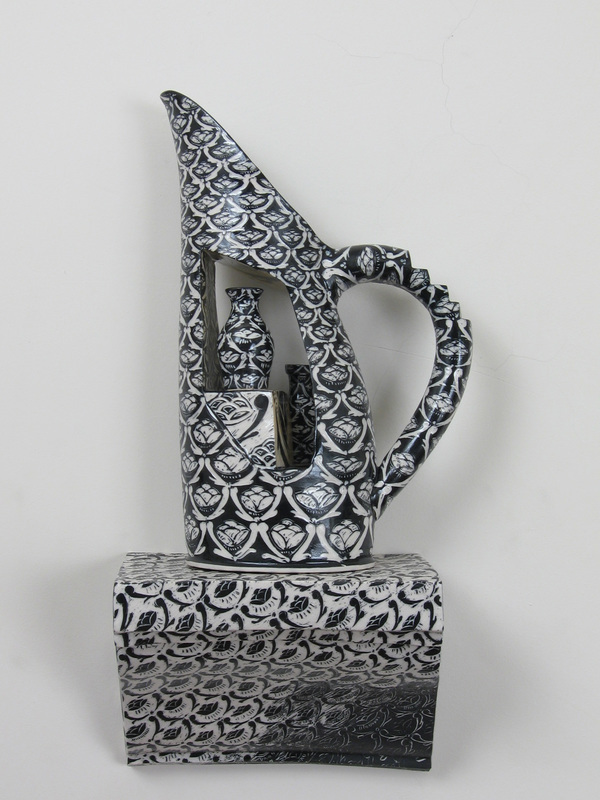 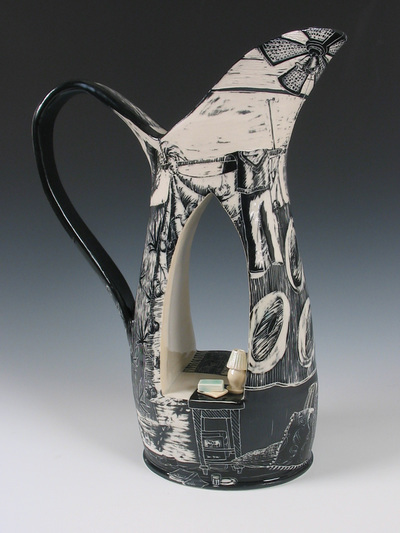 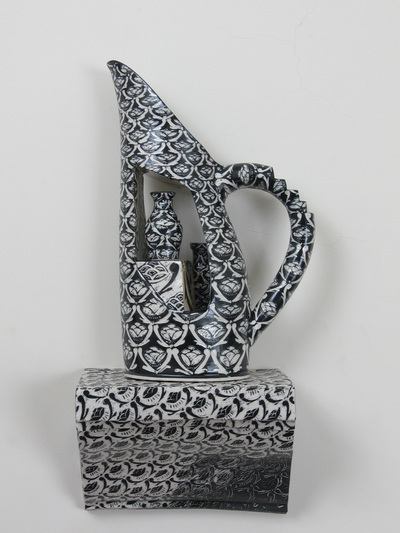 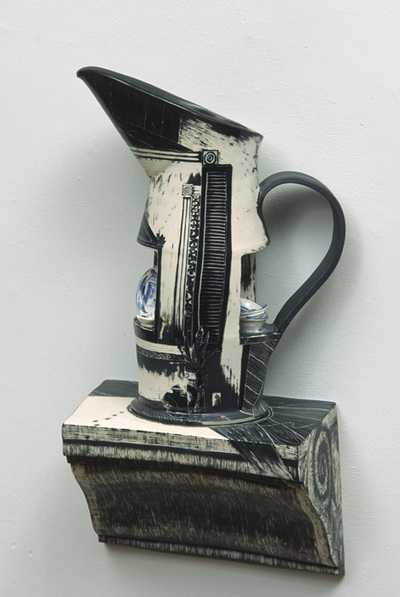 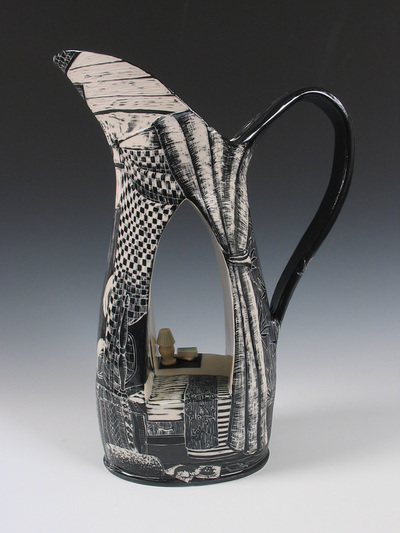 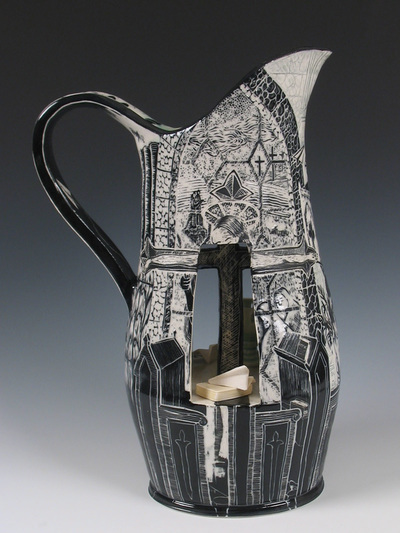 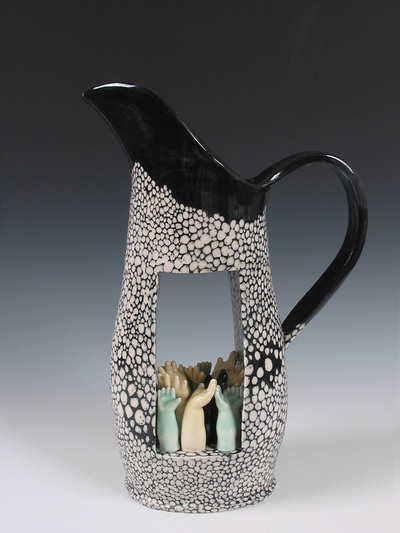 Jugs are an important part of the longstanding tradition of the vessel in ceramics. My interest in this form lies in the chance it offers to work out issues of design and balance, while also being a metaphor for containment and sharing. 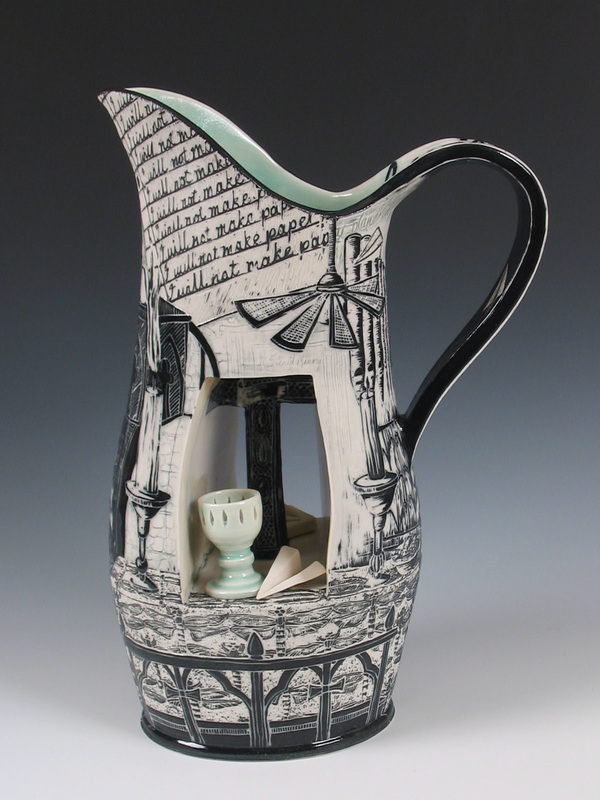 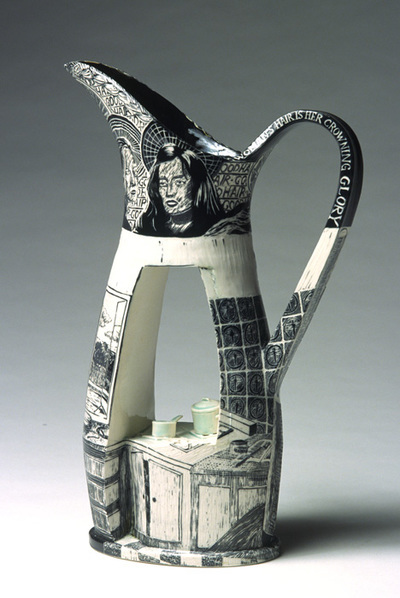 In the window jugs, the miniature settings invert the traditional placement of the vessel in its surroundings by placing the environment inside the jugs. 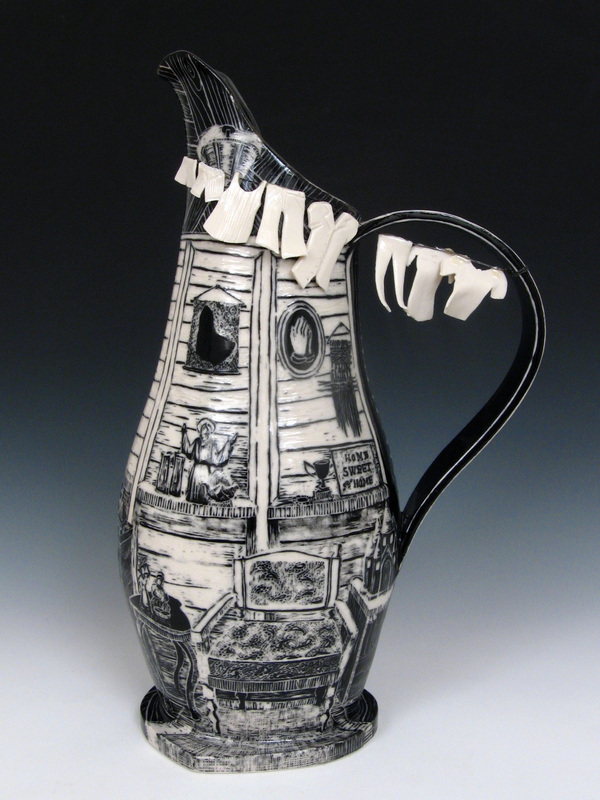 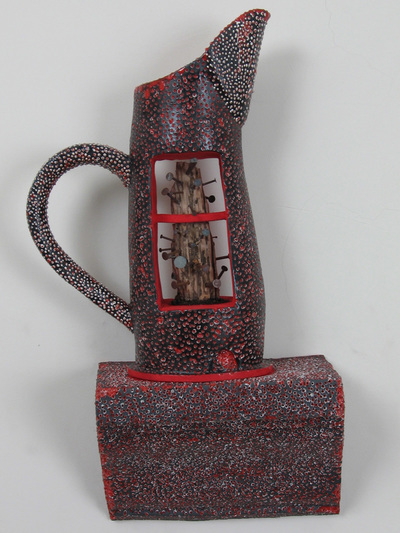 I have been making narrative jugs since 2002 when the first one was commissioned to be part of a show at the Art Gallery of Nova Scotia.